This is a phenomenal pice of art! 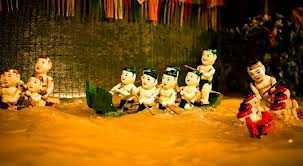 47" long and 20" high (bottom to the top of the standing puppet) The boat is 20" wide. They are all connected , and you can control the puppets to race by a string. 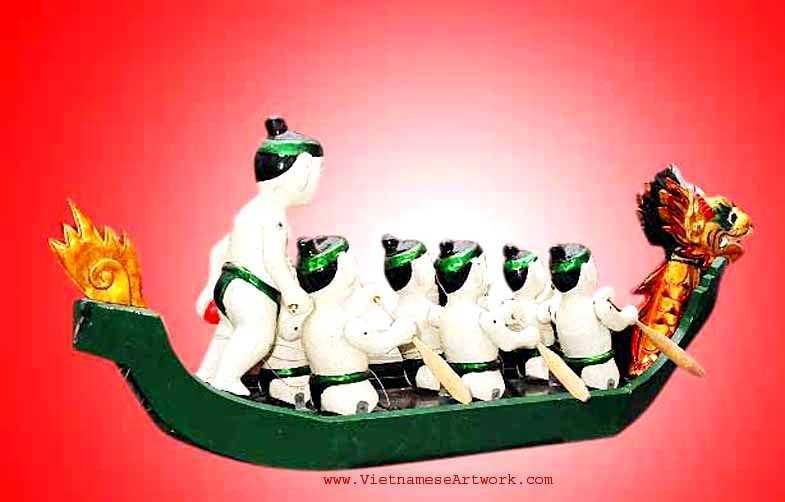 Racing Dragon Boat is a popular activity for the new year celebration in Vietnam. 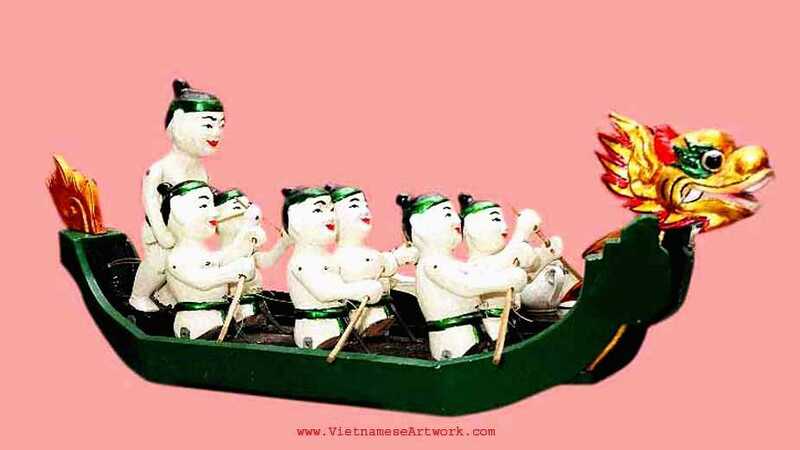 The puppet is made by Master Nguyen Quoc Hung, who make the puppets for the Thang Long Water Puppets Theatre. Please check out more pictures of the green racing boat in the shows. 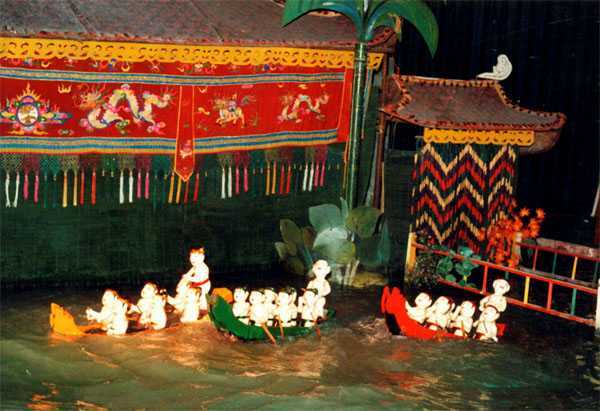 Pictures are from Thang Long Water Puppets Theatre.